Welcome to Amusement Supply Company... 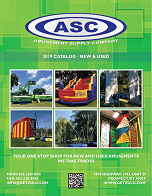 Your "One Stop Shop" for ALL New and Used Amusements!! !